I love buying gifts, I buy them all year round and then keep them in a very important place – my gift drawer. It isn’t about the value of the gift for me, but rather about the sentiment, and the person I am buying for. I get so excited when I find something that simply shouts out a name, and I know it is the right gift. My gift drawer makes me smile. It has some random goodies collected throughout the year. It is lovely to know that when November comes and Christmas countdown begins, I can rummage through my drawer. I always find that I have collected lots of gorgeous goodies specifically for the special people in my life. 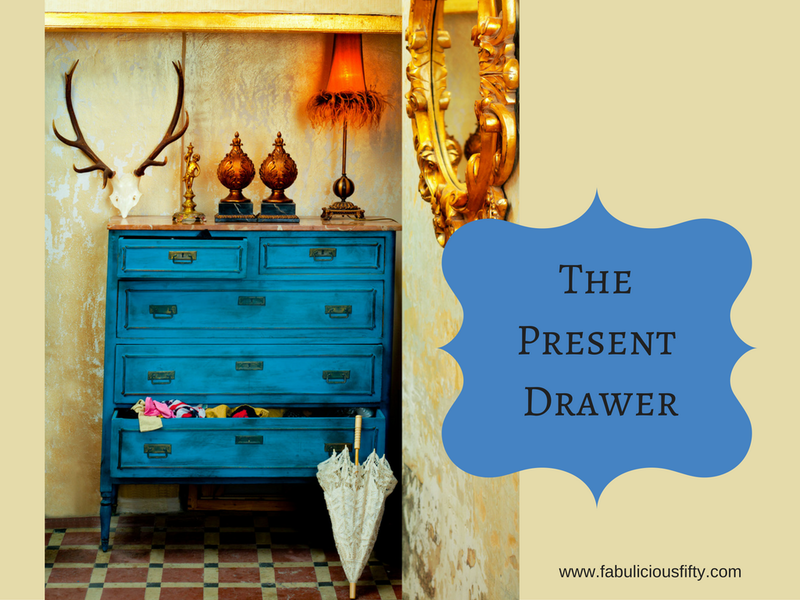 Of course a gift drawer is not just for Christmas (although it certainly helps). It is also there for birthdays and those very important gifts – gifts with no reason. Quite often when I am going to visit someone instead of buying chocolates or wine, I might have a peek in the present drawer. This magical drawer often yields just the right thing to take along and make my host feel special. I do love giving but I have honestly learnt the best lessons on giving from getting. I think of the feeling I had when a friend arrived with a paper bag full of little gifts all of which show how well she knows me and how much she cares. When I was a little girl I had a lisp. Legend has it that when I was asked what I wanted for Christmas I replied Biths and Pieces. I still think it is a great idea. I delight in lots of little parcels – all with meaning. Because of this, I rarely buy one large gift but prefer to collect up a little grouping of special things with great memories and thoughts. I am blessed to have friends and family who think like me, and treat me to special times unwrapping little gifts all carefully thought out. I also make a lot of my gifts – upcycling common household items and of course raiding my craft supplies. A personalised gift is a great way of telling someone who you really care. For this reason I have a second drawer with items that fit into this category. This year I am going to be creating some personalised jewellery using mini art works and photographs. I am also determined to try the Sharpie oven bake idea for personalising gifts. The third drawer down in this magical chest is the wrapping and writing drawer. The place where I keep wrapping paper, tissue, ribbons and cards. And of course tape and scissors (as I am always looking for them! My mom always takes so much time wrapping gifts. I remember Christmas where each gift was wrapped in tissue and then in matching cellophane and then curly bows pulled with scissors. These are the memories that make me smile! « What is your definition of Fabulous?